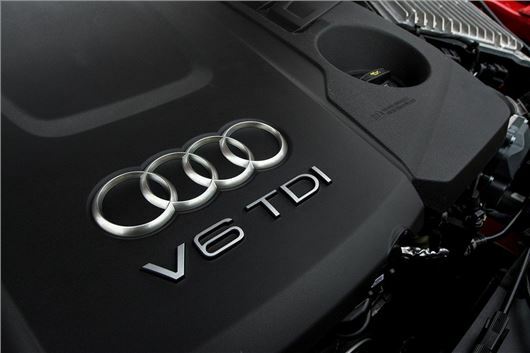 Audi has halted production of A6 and A7 V6 TDI diesels after finding irregularities in the engine-management software. The issue has sparked a global recall of 60,000 cars. It isn't clear how many UK registered Audi models will be affected by the recall, but the problem comes less than a year after the German carmaker recalled 850,000 diesels over emissions. The latest issue affects A6 and A7 cars fitted with the Euro6 compliant 272PS 3.0-litre V6 TDI engine. Audi has informed the Federal Motor Transport Authority (Germany's automotive watchdog) about the situation and no other models in the Audi line-up are thought to be affected. At this stage, the problem is not thought to be related to the 2015 Emissions Scandal that saw millions of cars from the Volkswagen Group recalled after being fitted with sophisticated NOx-rigging software designed to artificially lower harmful gasses and cheat strict EU laboratory emissions tests. In a statement, Audi said the irregularities were noticed during its ongoing systematic tests of diesel-engine and transmission combinations. I read (I cannot remember where) that the recall was because the engine management systems in these cars were deliberately reducing the amount of AdBlue added to the system to help removed NOx so that owners didn't have to refill their tanks of AdBlue in between services (or at least not so often), leading to far higher emissions of NOx. If true (I cannot confirm any of this), this, to me at least, is almost as bad as Dieselgate, as it sounds like a deliberate piece of software to reduce costs for the car owner at the expense of emissions, in contravention of EU regulations. I also note that thus far, the EU or any national government within the Bloc has taken any similar punative action against VAG for Dieselgate, and also note that the so-called 'fix' (NOT an official recall) of affected cars of the Dieselgate fiasco was never made manditory - I suspect partly because the 'fix' itself seemingly (in my opinion) has a significant detrimental effect on the performance, mpg and reliability of those cars modified. If many people (as they seem to be doing, and quite understandably too) choose NOT to have their cars fixed, then what was the point of the fix? Why haven't VAG been heavily fined like in the US and those fines go directly to spending on health to mitigate the additional NOx and other emissions? This latest turn of events will, for me at least, show if both VAG and the EU/governments care about what has happened and whether they favour corporates more than the people they are supposed to SERVE. In direct comparison to the UK of course, where we still employ thousands of people manufacturing diesel engines and parts (Ford Dagenham, Cummins UK and Delphi being just three of many examples), yet the UK Government has no problem or concerns whatsoever at killing off an entire industry in its own Country and putting all of these workers (and countless thousands more in their supply chain) out of work in their latest crusade to stop consumer buying diesel cars. Its a shame that neither our own Government or the EU appear to have the UK Economy at heart, unlike their German counterparts. Its not like we have a thriving trade in manufacturing Electric Car Batteries, Electric Car Motors or mining Lithium, so any growth in Electric Cars sales, will do little or nothing for our manufacturing industry nor get people into work.